Edith Mack Hirsch is one well-known personality who received fame thanks to her husband's prowess as an actor. Her stardom rose after tying the knot with her famous partner. Edith Mack Hirsch was one well-known personality who received fame thanks to her husband's prowess as an actor. Her stardom rose after tying the knot with her famous partner. Interestingly, despite being a well-known figure, Edith's death was not as obvious to the public as you'd expect. There were questions being raised on different online forums about whether or not she is alive. Sadly, this isn't the case and hasn't been for a very long time. 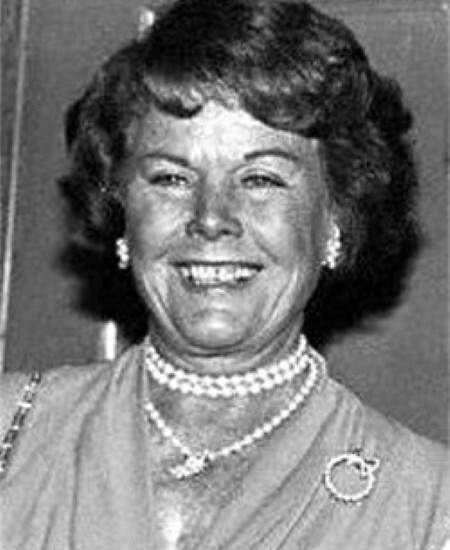 Edith Mack Hirsch, better known as the former wife of Desi Arnaz passed away on 25th March 1985 in Del Mar, California, United States. The cause of her death is believed to be cancer. It's been over three decades since the death of Edith. Even to this day, people wondered if she was alive because not much was made of her death in the media. There were lots of discussion in different forums about the whereabouts of Hirsch. Turns out Edith hasn't been alive for a very long time. Her husband at the time Desi Arnaz too passed away merely a year later in 1986. 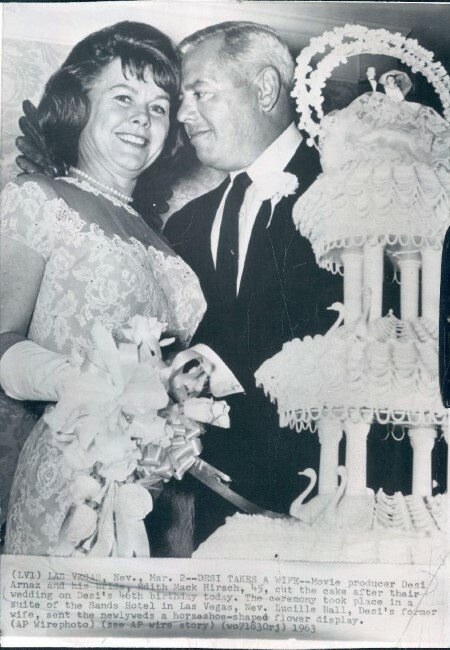 Edith Mack Hirsh married actor Desi Arnaz on 2nd March 1963 in Miami, Florida, United States. The couple was together for 22 years until Edith was no more. During his married years with Edith, Desi greatly reduced his show business activities. His notable involvements were serving as executive producer of The Mothers-in-Law. He made four guest appearances as a Spanish matador, Senor Delgado during the two years run of the show. 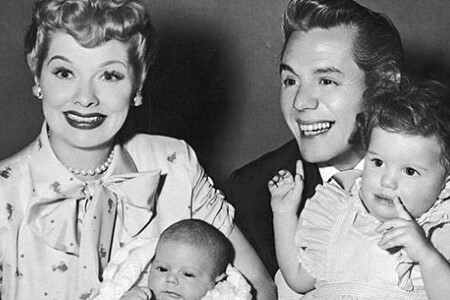 Previously, Arnaz was married to his first wife Lucille Ball. They tied the knot on 30th November 1940. However, their marriage was anything but blissful. Ball filed for divorce in September 1944 after she was convinced Desi was being unfaithful to her. The fact that he came home drunk several times did not help. The divorced never materialized and the couple subsequently got back together, welcoming two kids, a daughter, and a son, named Lucie Arnaz and Desi Arnaz, both actors, born in 1951 and 1953 respectively. The marriage began to collapse due to the actor's increasing issues with alcohol and womanizing. As per his memoir, the pressures of managing the production company was enormous. Moreover, supervising the company's day-to-day operations became too much of a burden as it grew much larger. He felt compelled to seek outlets to alleviate the stress. Arnaz was also suffering from diverticulitis at the time. The couple ended up divorcing in 1960. This led to the actor meeting his second spouse Hirsch. In her bio 'Love Lucy', Lucille reveals she had known Edith for years. They were good friends and she was pleased her former husband married Edith. Despite finding some happiness with his second partner, Lucy claimed this did not stop her ex-husband's gambling and drinking ways. After the death of Edith, Lucy made extra efforts to get in touch with Desi because his health was deteriorating every passing day at the time. Later on TV, a family home video showed Ball and Arnaz playing together with their grandson Simon. This was shortly before Arnaz bid farewell to the world. After getting diagnosed with lung cancer in 1986, Arnaz passed away several months later on 2nd December 1986 at the age of 69. As informed earlier, a year earlier his second wife Hirsch died. Moreover, three years after his death, his first spouse Lucille Ball passed away on 26th April 1989. Born on 15th April 1917 in Illinois, United States. She got well known only after marrying actor Desi Arnaz. She was good friends with her husband's first wife Lucille Ball.